UPDATE: Combined Mission approved on December 9. Feb 7 launch date. A final decision to combine the second and third of three planned Commercial Orbital Transportation Services (COTS) demonstration flights (C2 and C3 – otherwise known as D2 and D3) for SpaceX’s Dragon capsule still hasn’t been made, as much as it’s been due for several weeks. An actual official decision – and announcement – on combining the two flights, resulting a mission which will see the first commercial spacecraft to arrive at the Space Station, will be made by Human Exploration and Operations (HEO) Mission Directorate Associate Administrator Bill Gersteinmaier. 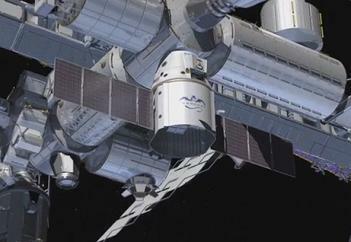 Several challenges have been – or continue to be – evaluated, such as the series of software updates that have been planned for the ISS, which will enable the station to support the new commercial vehicles at the outpost. Mr Gersteinmaier did note that SpaceX had delivered the final update version of their software for NASA evaluation, during the Soyuz TMA-22 post-docking media briefing in Russia. Ironically, the Russian partners have been more than cautious with Dragon’s debut arrival, first noting concerns with the “performance data” – supplied to them from the COTS 1 flight – as much as it appears the issue was with the amount of information they gained, as opposed to any problems with the data. This concern had apparently subsided, with claims Roscosmos and RSC Energia “stakeholders” had signed their preliminary approval for the arrival of the SpaceX vehicle at the orbital outpost, specific to their previous concerns with the data. However, sources note the Russians still have misgivings about Dragon arriving at the ISS, claiming Roscosmos spoke with Mr Gersteinmaier recently, requesting Dragon mirrors the same approach points as the European ATV and Japanese HTV carried out in their first flights to ISS. This should not provide a major problem, given Dragon’s rendezvous is understood to closely follow the approach profile used with the HTV. It is also not known just how much power the Russians have over a US spacecraft arriving at the US section of the ISS, as much as NASA sources confirm the Russians are being very “hands on” with the approval process. Regardless, the overall opinion continues to point to an approval for the joint mission being close, as much as this has been the claim for almost the last two months. One key element which would have been a natural schedule problem for Dragon has now been removed, with the Russian Progress and Soyuz vehicles back into nominal flight ops, following the successful launch and docking of both vehicles since the Progress 44P failure. Indeed, even the ISS status reports have shown optimism on an official green light for Dragon’s flight to the ISS, with crewmembers – NASA astronaut Dan Burbank and Russian cosmonauts Anton Shkaplerov and Anatoly Ivanishin – preparing for what the reports listed as a merged mission at one point. 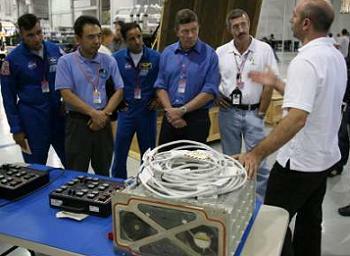 “CDR Dan Burbank pre-gathered required hardware items of the CUCU (COTS UHF Communications Unit) and restowed it in Node 2 for the upcoming (11/30) Combined Demo software update and checkout, which will involve the CUCU software and SpaceX “Dragon” CCP (Crew Command Panel) firmware, followed by a checkout of the changes,” noted the November 28 ISS Status report. 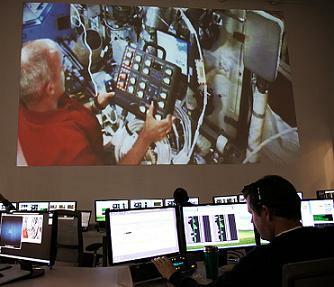 The first report in December, however, backtracked from the “merged” statement, as software work continued on the ISS. All three crewmembers previously got their hands on the hardware associated with the CUCU during a visit to SpaceX back in September. However, Dragon requires two trained crewmembers to berth it, with Dan Burbank the only crewmember currently aboard ISS who has completed the training, meaning Dragon’s arrival will require Don Pettit or his backup to arrive on the next Soyuz, scheduled to launch later this month. Dragon will also be challenged even if the combined mission proceeds as a merged flight, with the requirement for every C2 demo objective to receive the joint confirmation from SpaceX controllers and NASA controllers – the latter located at the Mission Control Center (MCC) in Houston. Any in-flight anomalies during the C2 phase of the flight be presented to MCC-Houston and thoroughly resolved by SpaceX’s Mission Control in California. However, there hasn’t been any word of late on the plan for the secondary payloads, which relates to an agreement to launch 18 ORBCOMM Generation 2 (OG2) satellites as early as the fourth quarter of 2010 through 2014. The delivery of the second-generation satellites into Low Earth Orbit (LEO) was set to be carried out on the Falcon 1e launch vehicle. SpaceX – working to further maximize the cost-effectiveness of their COTS/CRS missions – decided to include the additional payloads as passengers on the Falcon 9′s second stage, allowing them to be deployed after the Dragon separates from the Falcon 9. 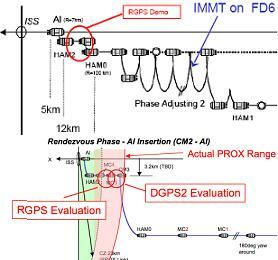 It is currently understood that two ORBCOMM satellites will ride uphill with Falcon 9 during the C2/C3 flight, which caused ISS managers some interest from the standpoint of a potential collision risk with the ISS. As such, NASA noted the use of their experienced Monte Carlo analysis methods to clear this concern. No further information has been noted since.